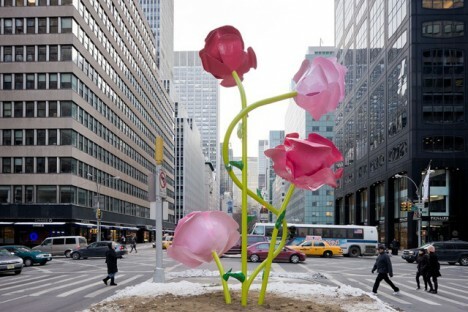 This gigantic bouquet of roses remained fresh, planted in the ground between 57th and 67th streets on Park Avenue, bright against the dull winter surfaces of the city. 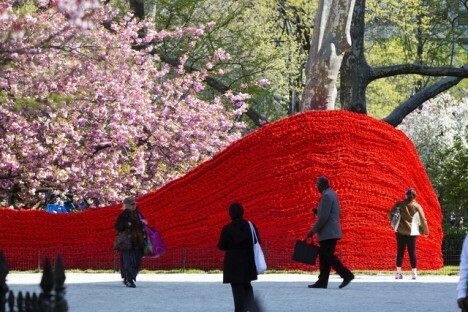 38 rose sculptures in all, towering as high as 25 feet, were scattered around the area along with fallen rose petals to instill a sense of hope about the coming spring. 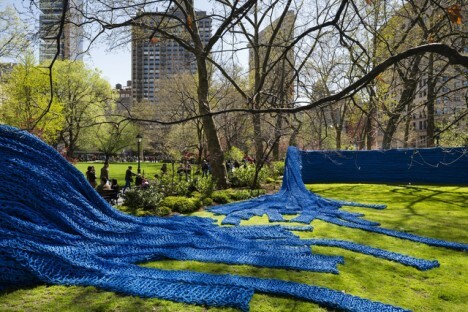 1.4 million feet of repurposed, hand-knotted nautical rope soaked in 3,000 gallons of vivid paint snaked around Madison Square Park in red, yellow and blue for a temporary exhibition by Brooklyn-based artist Orly Genger. 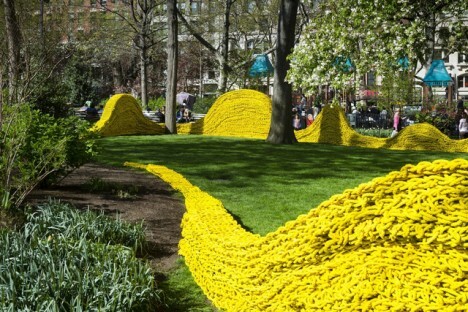 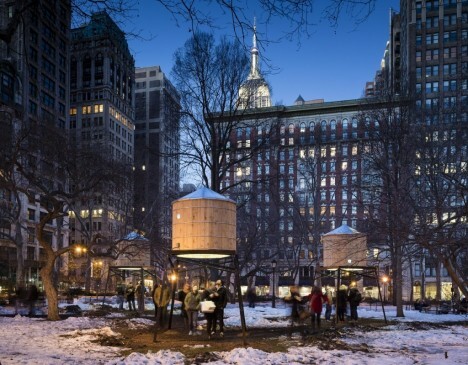 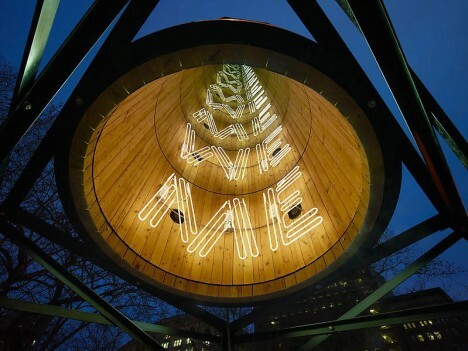 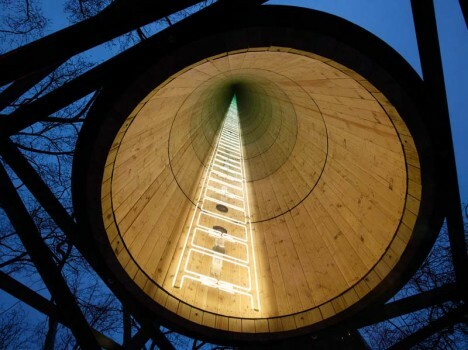 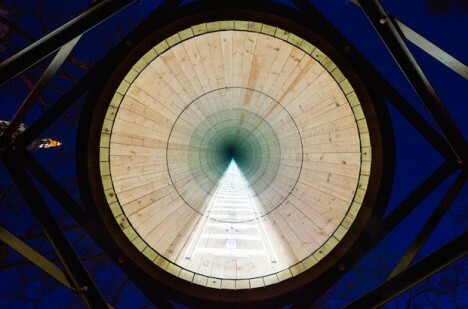 The installation weighed an incredible 100,000 pounds. 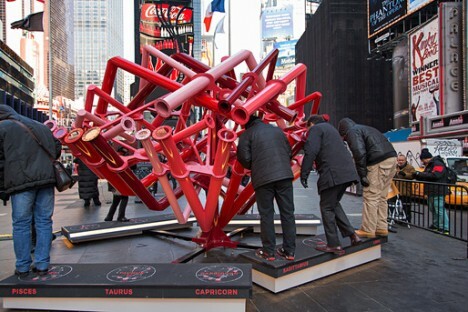 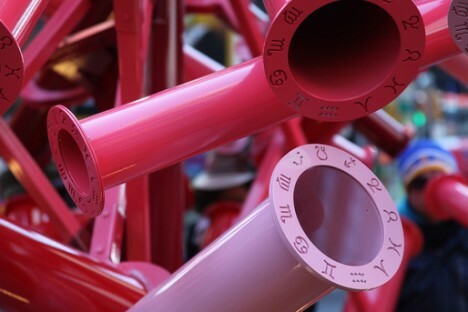 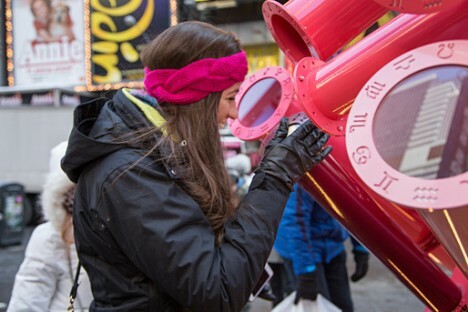 Winner of the 2014 Times Square Heart Design competition, an installation of red and pink pipes entitled ‘Match Maker’ matches up passersby with others according to their astrological compatibility. 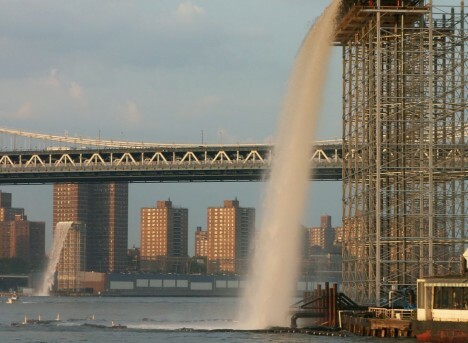 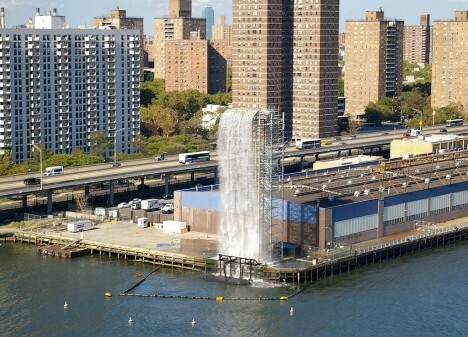 Throughout the summer and fall of 2008, four monumental man-made waterfalls streamed along the New York City waterfront: one on the Brooklyn Bridge, one on the Brooklyn Piers one in Lower Manhattan at Pier 35 and one on the north shore of Governors Island. 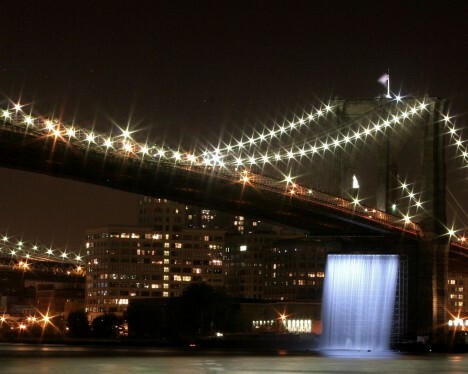 Standing up to 120 feet tall, the waterfalls were illuminated after sunset.